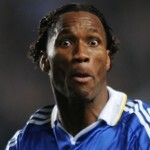 Anyone else see shades of Drogba when Luiz stuck this beauty away last night? Just something in the way Luiz shaped the shot plus the low trajectory of the ball? Perhaps it’s just us then. WTF is the wall doing?! One of them just backs away!